Sitting Liberal MHR for the Victorian seat of Indi, Sophie Mirrabella, looked a certainty for a ministry in the new Abbott government, but she lost her seat to Independent candidate Cathy McGowan. CATHY McGowan opens her spiral-bound notebook of jottings and draws three interlocking circles to illustrate her game plan for Canberra. We're sitting in Wangaratta's hippest cafe after a nail-biting count confirmed this bolshie independent as the new member for the rural Victorian seat of Indi, in the biggest upset of the federal election. Her orange scarf salutes the vibrant colour of a campaign that reimagined politics. As she sketches a new paradigm, I notice her outdoor hands blotched by the sun. The soil of the Indigo Valley is in her veins. She grew up here. She knows the swimming holes, the trees, the smell of hay that drew her home from school and university every summer until the young trainee teacher returned for good to farm her own patch of earth, even though older male relatives doubted she had the strength to lift a fly-blown sheep. Not only did her animals prosper but she grew a rural consultancy business on the side and then used her brains and her leadership skills to lift the profile of women in agriculture. "Bloom where you are planted" is a philosophy that holds true for her. Strange, then, that McGowan ummed and ah-ed for as long as she did before deciding to contest this blue-ribbon stronghold because if you trace where she's come from, her new role seems like the inevitable next step. She has been dubbed a conservative by the mainstream media and portrayed as a progressive on social platforms. I wonder which hat fits her best. "That question is so last century," she says. On cue, her 25-year-old spinmeister, Cambell Klose, tweets news of this interview on the #indivotes feed, which for a time during the count was the top-trending topic on Twitter. A girl at the next table looks up from her iPhone, where she's been following updates about the new MP, and laughs at this unexpected sighting. "Come and join us," says McGowan, 59, eager to include outsiders, particularly the young, since they are the lifeblood leaving regional towns. 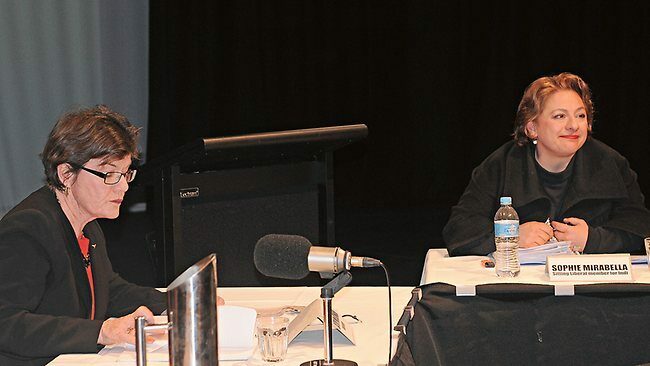 Her inclusiveness defines a brand of activism so now, so this century, so exactly what voters have been hungering for, that it ate sitting Liberal frontbencher Sophie Mirabella's 9 per cent margin in the Party's only wipeout of the election. Suddenly democracy was fun and purposeful across this northeastern corner of Victoria as communities volunteered shoe leather and digital savvy on McGowan's behalf. They held kitchen-table conversations to map an agenda; they brought food and furniture for pop-up offices; they sang a version of Paul Kelly's From Little Things Big Things Grow at street concerts; Year 12 students made YouTube videos; 50-year-old mechanics learnt how to tweet; they doorknocked; they wrote poems. Tonight they will celebrate their win at a "bring your own plate" bush dance in nearby Oxley. Local carpenter Mark Townsend jokes that he has gone from "scrutineer to tent putter-upper" as he anchors a giant marquee to accommodate the overflow. Art teacher David Godkin has brought the figurines he's made, one holding a placard warning: "Voice for Indi is a salutary lesson in politics." Cardboard voting stalls recycled from polling day have been erected for guests to inscribe visitor books with messages of hope. "We love history in this place," says Tony Lane, one of those who joined McGowan in a meeting room at the Wangaratta library in August to test the political winds. Well, they've made history all right. As night falls, supporters arrive with cakes, sandwiches and hearts buoyed by great expectation. More than 600 people turn up in orange to holler and jive. Is this a tipping point? 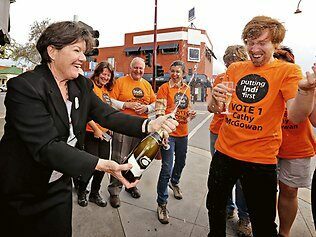 Will their passion for doing politics differently leap electoral boundaries, or was this uprising a flash storm of forces peculiar to a place, a time and a lightning rod called Cathy McGowan? That same weekend, Indi expats gathering in the beer garden of the Standard Hotel in Melbourne's Fitzroy are still on a high. "I can't let go," enthuses McGowan's niece, Leah Ginnivan, 26, who along with her cousin Ben McGowan, 27, began the niggle that turned into a roar. In 2012 the pair shared regular whinges about national affairs. "We are both interested in politics and policy and we were venting our frustration and despair when we realised we weren't doing anything to solve the problem," Ginnivan says. After reading a critique of Mirabella's performance the two young graduates decided to act. "We just looked at each other and said, 'Cathy could do it. She'd be fantastic.' I don't know many people who've led a life so focused on community. "Her response when we rang was along the lines of, 'I'm flattered you guys thought of me, but ... ugh'," Ginnivan adds. McGowan felt torn. On a personal level she was preoccupied with new contracts; for months she'd been stitching together a coalition to fund an exciting project teaching leadership to rural women in Papua New Guinea. "I could hear what they were saying ... but I had good jobs I love doing, so it was 'Yes but no'," says McGowan. "How could I get out of this with face? It seemed all too hard but I promised them I'd see if there was any interest up here." 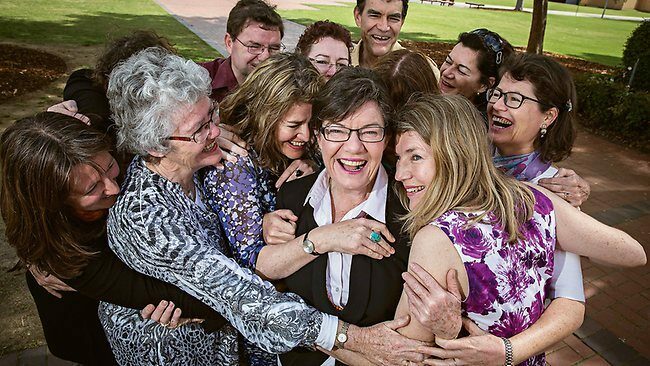 The large tribe of McGowan cousins adore this aunt who, without children of her own, spent time mentoring those of her 12 siblings. Various nieces and nephews often followed her around Canberra when, as a founding member of Australian Women in Agriculture, she went to buttonhole trade officials, philanthropic foundations or public servants. "She'd drive us around the foreign embassies explaining how trade works and take us to meet people and sit in on Press Club events," Ginnivan recalls. McGowan's sounding board is a formidable resource. "Networking is in her DNA," says Alana Johnson, another towering force in the rural women's movement whom McGowan enlisted to jump-start the ginger group that became the Voice for Indi. Several of these 12 community leaders were as keen as the kids to rustle up an alternative to Mirabella. They'd experienced first-hand the Liberal MP's neglect of local problems in favour of ideological debate in Canberra. Parachuted into the seat in 2001 as a smart young Melbourne lawyer, Mirabella had alienated constituents with her parliamentary antics. Thrown out of the chamber five times between March and August 2011, Mirabella later missed a vote against the carbon tax due to a 24-hour suspension and was one of five Liberal MPs who boycotted Kevin Rudd's national apology for the Stolen Generations. "Running a city barrister in a country seat is very dangerous," says former Liberal MP Ewen Cameron, who held the seat for 16 years until 1993. "If you're not careful the electorate can kick you in the teeth." McGowan worked on Cameron's staff as a researcher in the early 1980s but she has never joined the Liberals or the Nationals, and neither Coalition partner ever courted her allegiance. More fool them. Free agency fostered her independent spirit. Dead against replicating "politics as usual", she resisted the push to simply field another candidate. "Let's do this differently" was the catchcry. They wanted to hold "kitchen-table conversations" so that voters could determine the agenda. McGowan, Johnson and rural economist Rowan O'Hagan had used this model before. Designed by Mary Crooks of The Victorian Women's Trust as a way of advancing complex policy consultations in bite-size gatherings, the process was tailor-made for a country electorate. "It works to people's best sides," Crooks says. "Everyone is heard; no one feels uncomfortable, as they often do speaking up at large functions, because they are in a comfort zone where they feel safe and secure." Public meetings helped spread the word and volunteers put their hand up to host informal get-togethers. A kit was prepared to generate discussion around three themes: living in Indi; issues that matter; political representation. McGowan and Voice for Indi ally Tony Lane paid Mirabella a courtesy call to inform her of the plan. "She didn't even give us a cup of tea," Lane recalls of an awkward encounter in the reception area of the MP's office. "She told us people were not interested in politics." Although Mirabella's primary vote had been declining since 2001, she remained confident of victory. They did not telegraph a challenge because this prospect had been parked to one side while the community met. Around 425 people took part in 55 conversations across an electorate that covers 28,000sqkm of alpine country, national parks, valleys, plains and thriving regional centres. Each group appointed someone to take notes. A tone of decency was critical to the committee's yearning for a richer style of engagement. Flattered to be asked what they thought and felt and wanted for their families, voters overflowed with ideas as well as scorn for the sitting member: among their comments were "[she] keeps being ejected from parliament"; "not willing to ask constituents' opinions"; "is actively obnoxious"; "doesn't represent our voice"; "has eye on career not on the good of electorate"; "feel disempowered". It's easy to mock this feel-good talkfest, and the Liberals did, but as a political organising tool the conversations were a masterstroke. Luck also intervened at pivotal moments. In January, Ben McGowan discovered his new neighbour was Cambell Klose, who grew up in northeast Victoria and had just returned to Melbourne after brainstorming digital start-ups in Silicon Valley with YouTube founders Steve Chen and Chad Hurley. The two Indi expats had a drink at the Standard Hotel. "I got really excited about what was happening," Klose says of stirrings that echoed the community activism he'd witnessed in California. "Every Monday night we'd meet at Ben's house or mine and discuss politics and digital strategy." Exposed to a business mindset where good ideas are tasked before doubts paralyse progress, his dexterity and boundless enthusiasm proved invaluable. Back in Wangaratta, the Voice for Indi committee collated the community feedback into a report, and pressure to field a candidate built inexorably. Various names were floated, but as time went on "more and more people were beginning to say, 'Cathy, why don't you do it?'?" says committee member Rowan O'Hagan. As her nieces and nephews renewed their pitch, the odds were firming. "We had widespread support from the very beginning across the full spectrum of the community. I felt, 'Something really weird is happening here'," McGowan says. "I was shocked by the level of disengagement and plenty of women in agriculture were saying to me, 'You need to do this'. "I remember having a conversation with one of my brothers-in-law where he said to me, 'You'll never get Wodonga'. I sat down with him and said, 'We actually could get Wodonga' and that's when I thought, 'Listen to yourself there, Cathy. If you think you can get Wodonga you've actually got a plan in your head.' I could articulate a strategy. Once I heard myself saying that, I knew I'd made a decision." Loyal to the values of transparency and consultation, the committee advertised for candidates. Only two people nominated for pre-selection before a panel of Voice for Indi members that included Wangaratta farmer Phil Haines. "Cathy was the clear stand-out," Haines says. Her Order of Australia, her foreign trade knowledge, her small business expertise, her farming background, her community reach and her family's deep roots posed a stark contrast to Mirabella. A raft of ancillary factors favoured McGowan's bid. Independent candidates are a surer bet in safe seats; preferences from the ALP, Greens and Palmer United Party flowed McGowan's way; she won valuable endorsement from former National Party state MP Ken Jasper, who swayed many local conservatives; Malcolm Fraser, once damned by Mirabella as a "frothing-at-the-mouth leftie", also urged a vote for McGowan. As soon as retiring independent MP Tony Windsor awarded Mirabella "the nasty prize", critics piled on from every quarter. Six weeks out, Liberal polling revealed she was in "grave danger". Focus groups warned "they personally couldn't stand Sophie" and her campaign floundered as stunts backfired and leaked emails acknowledged McGowan's "more active and enthusiastic" team. The procession of Coalition would-be saviours, including Peter Costello, Malcolm Turnbull and Barnaby Joyce, proved no match for the enthusiasm of McGowan's orange army, most of whom were being drawn into politics for the first time in their lives. Haines, a self-confessed West Wing addict, led a flat organisational structure where ideas hatched swiftly into action, leaving veteran apparatchiks marvelling at the innovations that transpired. "I learnt so much in the last four months," he laughs. His son Nick, who'd learnt about NationBuilder software as a political science student at university, introduced this digital platform to raise funds and consolidate a database of rapid-response volunteers. "The lesson I've learnt is the power of mobilising social capital in rural areas," the 21-year-old says. "These are tight communities. As soon as you present a problem, they network a solution. People were so ready to be engaged." Within half an hour of deciding to set up an office in the southern part of the electorate, Nick says, "someone had offered us space in a church. The next day we had furniture and soon we were up and running." He spruiks Harvard academic Marshall Ganz's idea of the "snowflake" model used in Barack Obama's presidential campaigns, describing a central hub with autonomy invested in outlying areas. "That was the amazing part. By giving people a role, creative, fun stuff just happened." Car mechanic Rex McCartney, 57, went from an occasional Facebook user who shied away from text messages to a Twitter tragic after attending the social media workshops that Klose ran. "It was so enlightening. He brought a whole heap of us into the new age," says McCartney, who has serviced McGowan's vehicles for years. "I've been a Liberal for a long time but very disillusioned with what we had here. When Cathy put her hand up it was a no-brainer." Klose loves how McCartney picked up the digital lingo, saying: "One day he posted a picture of the community choir with the tag: 'flash mobbing'." Everyone who joined the McGowan team signed a pledge to uphold values promoting honest and respectful conduct. Cheeky, yes, but mindful always of the mantra: "Be our best selves". "It was touching how much people took it up," Ginnivan says. "That's why we won. People were in it for something better." The Coalition victory makes Mirabella's ignominious defeat harder to bear. Her primary vote of 44.68 per cent was far below the 62.6 per cent she pulled in 2004. McGowan, who secured 31.18 per cent, scraped ahead with preferences. Supporters say Mirabella appeared "emotionally wounded" when she hosted a barbecue to thank 400 supporters at her Wangaratta house late last month. She did not want to comment for this story. "She's without doubt the toughest person I know," says one former adviser still seething at the "vile" personal abuse Mirabella copped from social media sites. The antagonism went viral in July last year after the Q&A episode where she recoiled from GetUp! director Simon Sheikh as he passed out. Another insider believes Mirabella never recovered from unanswered questions involving her relationship with the late Colin Howard, a distinguished law professor 40 years her senior who developed Alzheimer's, and the circumstances surrounding his will. Local National Party senate candidate Martin Corboy, who supported Mirabella, concedes McGowan's triumph: "Cathy's campaign was masterfully done," he says. "Seriously, she would have been a great candidate for any party. Both sides of politics can learn a lot from the Voice for Indi activism." There is no contest between random "robo" calls from a party machine and the grassroots activism that won Indi. The political rule book has been rewritten. Other electorates are jostling to copy Indi's success but Mary Crooks is concerned to preserve the integrity of her kitchen-table template. "People get excited. 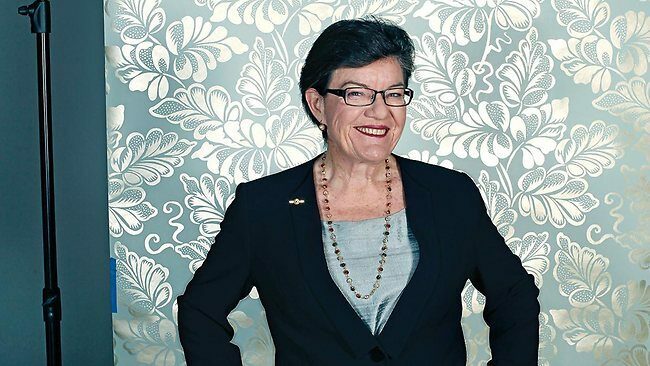 You can't just go into the political process supermarket and throw the Voice for Indi into your trolley," she says. "But decent men and women around the country are haemorrhaging. They are not affiliated to any party and they have no voice. I think Indi gives them a flicker of hope, an aspirational way of doing politics better." Ben McGowan agrees. "The main lesson is that people are interested in politics; give them an opportunity and look what happens," he says. His aunt is cautious of overstating Indi's capacity to catch-on. "We'll see," she says. "There were a whole lot of circumstances here that were quite unique." She is one of them. Not long after she quit teaching in her mid-20s, McGowan went "farm shopping" after hearing that a neighbour was selling several hundred acres in the Indigo Valley. She wanted to graze merino sheep. Her plan went against the accepted wisdom that a woman's place was inside the house paddock while a man's world sprawled far beyond. An older male relative bluntly put down her ambitions, she recalls. "? 'You're not a farmer, Cathy,' he said. 'Why not?' I asked. 'You'll never be a farmer because you cannot lift a flyblown wether onto the back of a ute.'?" A local woman farming friend spoke up in her defence. "Of course Cathy's a farmer," she said. "She'll farm in such a way that her sheep won't get fly-struck." McGowan knew then that she could farm as a single woman. "I am a different sort of farmer to my relative. I don't have his strength but I can use my mind and my skills to farm - after all, I am a woman. And I do both inside and outside work. And I knew then that women would bring new skills to farming." Growing up as the fourth of 13 siblings on her parents' dairy farm, she was keenly aware that "Dad was the farmer and Mum, proudly, the farmer's wife. Everyone called it Paul's farm, his farm". Yet her mother looked after a mob of children, a vegetable garden, hens, geese and turkeys, sewed clothes, made jams and preserved fruit in a kitchen that was "the manufacturing centre of our existence", and still found the energy for community activities. The family dinner table was a place of engaging debate. Her father supplemented farm earnings with paid consulting, and was a shire councillor. She recalls her parents talking one day about a road that needed repair. "Dad was saying the road was really important for getting produce to market. And then Mum chipped in, 'And for visiting people'. For him, the argument was about economics. For her it was the connectivity." From an early age this curious child understood the glue that binds community. At the Catholic St Joseph's Primary School in Beechworth she loved the diversity of migrant newcomers, swapping Vegemite sandwiches for sausage. Later, as a boarder in the "cold, draughty dormitories" of Melbourne's Sacre Coeur, she would help others acclimatise. Once McGowan chose to farm, she found her calling. Collaboration with women who taught her how to fence and handle animals led to the founding of Australian Women in Agriculture in 1993. She rose from inaugural secretary to newsletter editor to president, determined to use research, statistics and photographs of women on the land to document their contribution to national farm income. "We became seriously organised. We became visible to ourselves. We became visible to policy makers, industry groups, and to the media. We found our voice." A Women's Unit soon became part of the federal Department of Agriculture. Her confidence grew as her sphere of influence widened. She completed the Australian Rural Leadership Program. She wrote a Master's thesis. She participated in World Trade Organisation meetings. She chaired a research project commissioned by former deputy prime minister John Anderson that found "belonging" is the critical thread to helping communities manage change. Her mother Marie's need to visit people became a touchstone she revisits often. McGowan talks about the "the value of a gift of time - time to talk to neighbours, to offer a hand, to organise a local activity, time to build community". Each step of her career has underscored the importance of listening and suspending judgment, and along the way she's developed a finely tuned ear for the shared enterprises and exchanges that knit people together. Rowan O'Hagan, who has known McGowan for 20 years, laughs as she acknowledges that her friend shares strengths attributed to Mirabella: "Persistence, determination, confidence." She's brusque at times, prepared for the hurts and curve-balls that politics and life toss your way. But, says McGowan, "You deal with what you're dealt ... you have some wins and losses but that's the way it is. You get on with it". Although McGowan has a partner, she lives alone on her property in a house perched on top of a hill, with a couple of solar panels for power. She loves trees. Many of the native gums that populate her farm have grown from saplings chosen by the nieces and nephews to commemorate milestones. Bloom where you are planted. I've rarely encountered such breadth and depth in a new MP. Indi's catchcry of vision, voice, visibility, values are not simply platitudes McGowan rattled off for a campaign brochure. She has long lived and breathed them as she's sought the best side of human endeavour. I reckon she'd make a great prime minister. But I'm getting ahead of myself. She doesn't even belong to a party. That's yesterday's matrix. "If I thought the parties resonated for me I would have joined them," she says. "For this model to work it's got to be above party politics. Getting caught in ideological debates doesn't serve my goal. On some issues such as free market and trade I sit with the conservatives. On others I fit with the Greens. I'll listen to an argument and ask, 'What will this do for Indi?'?" That's the point she's underlining with her three circles for community, representation and legislation. "Everyone keeps saying, 'What about Canberra?'" she responds when I ask how she'll influence outcomes as a minority of one. "They seem to think that's where the power is. To me, it's getting this to work." She jabs her pen at the circles. "Getting community into legislation; getting community into representation. I'm for Indi. I'm going to work that." Another jab. "I've got to get jobs, infrastructure and resources for Indi. It's about creating an operating environment so rural and regional centres can reach their potential. We trade, I trade. If the internet's not right we can't do business. Free trade with China doesn't matter if we can't get wool and sheep to market. Indi needs to have its day in the sun. I'm going to make sure it's right for us." She jabs away at her diagram. "I'm really good at doing this," she insists. "I've been doing it all my life. It's about being strategic and building alliances: 'Who do I need to talk to and how will it happen?'?" On polling day there was a verbal slap from a Liberal passing out how-to-vote cards for Mirabella. "You and your discourse," he sniped at the orange-clad volunteer. Veterans of the two major parties in Canberra are sure to stare her down with the same surly scepticism of the older male farmer who couldn't picture the young McGowan loading a sheep onto the back of a ute. They'll doubt her capacity to muster an agenda. But if they've half a brain they'll apply her lessons in their own electorates before a handful of constituents beat them to it.